Star Wars: The Force Awakens will be released soon, while the release date for Chinese market will be on January 10). 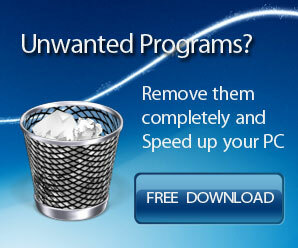 Many of technical companies are promoting this movie. Apple joined the list of promoting Star Wars. 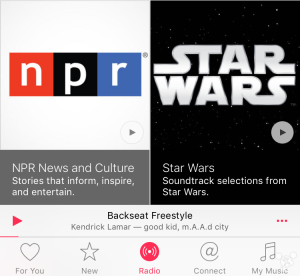 The Star Wars fans could click the Apple Music to learn more about its promotion. Apple recently added new frequencies: Star Wars on Apple Music and iTunes Music radio sections. The listeners can listen the theme songs, background music, and ending songs of Star Wars series on Star Wars channel. The listeners will surprise that they will be able to find Main Title/Rebel Blockade Runner for Star Wars:New Hope, Yoda’s Theme for Star Wars: The Empire Strikers Back, Emperor Arrives for Star Wars: Return of the Jedi on Star Wars channel. In additional to this, the listeners can also find some special music effects for Star Wars series, such as R2-D2 danger alarm. Moreover, Apple offers users Star Wars digital movie collection at $10 on iTunes platform. The collection contains the first six Star Wars Episodes. In terms of the new Episode, the Star Wars fans could reserve its original soundtrack for Star Wars: The Force Awakens on iTunes. If you have watched its first six Episodes, you might look forward to its new episode. It won’t be too long before you watch it in the cinema. It is the shopping season for Christmas again. This season started from this Thursday to next Monday. According to the IBM prediction, mobile shopping traffic will be exceeded to PC’s for the first time. It is convenient to use smartphones to shop with the internet development. Mobile becomes the top one device for accessing to internet. 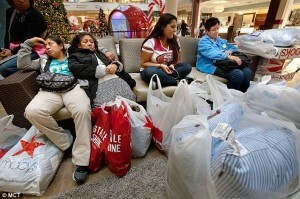 Mobile shopping traffic will be exceeded to PC’s for online shopping. IBM predicted that mobile shopping traffic would account for 56.9% of the total shopping amounts. It would exceed the one in last year, accounting for 48.5%. it would be the first time that mobile shopping traffic exceeds PC’s. Some people might avail of smartphones to do window shopping. So, the above figure is the rate of visiting traffic. It is reported that the sales volume of mobile shopping will account for 36.1%, while it received 27% of the total sales volume last year. To promote the mobile online shopping, Apple and Google launched Apple Pay and Android Pay to bring the convenience for clients. It has security risk for mobile online shopping when purchasing or paying the orders. It takes time for mobile online shopping at some online stores. NRF predicted that American retail turnover will increase by 3.7% during the Christmas shopping season, while it increased by 4.1% last year. It predicted that three fourths of online retail traffic of Walmart would come from smartphones, and the left is from PC. Mobile online shopping traffic was over 50% of the total traffic in the past two years. eBay’s third quarter earnings indicated the turnover of mobile shopping account for 41%. It is possible that the proportion of mobile shopping turnover will increase during this Christmas shopping season. Forbes quoted Michael Evans’ statement that Alibaba plans to set up new branches in other two US cities. There will be five cities to attract branded retailers for its domestic clients. Michael Evans who is responsible for international business of Alibaba suggests that the company will set up new branches in New York city and Washington D.C. by the end of this year or the first quarter of 2016. 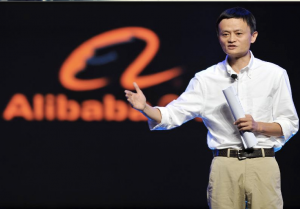 Alibaba has set up offices in Seattle, San Francisco and San Mateo. Its offices will major distribute in the West Coast and East Coast. Alibaba adjusts its internationalization strategy, focusing on introducing the oversea branded retailers to China so that to sell goods to the Chinese customers. In face, the imported products are also one of the promoted themes on November 11 promotion. The company will analyze what kind of imported goods or oversea brands that Chinese customers prefer from the November 11 purchasing records. Alibaba is also busy in exploring its business in European market. It set up the London office as the European headquarter for business management lately. The company will continue to open its new office in France, Germany and Italy in the hope of attracting more sellers. Alibaba once took over some e-commerce business in US and open the online stores for US consumers but failed. Alibaba is incompetent to rival with Amazon there. After that, Alibaba attracted and cooperated with branded sellers for domestic e-commerce platform. In addition, Alibaba invested great amount of sum in mobile internet startups in US and India, such as it invested about $600 million on a mobile payment company in India. US Groupon released its third quarter earnings till September 30, 2015 on Tuesday. The report showed that Groupon’s revenue in the third quarter reached $713.6 million, while it achieved $714.3 million in the same period of last year. The net deficiency of common shareholders is $27.6 million, while it was $21.2 million in the same period of last year. Groupon board of directors announced it appointed Rich Williams as its new CEO and director on Tuesday as well. The appointment took effective immediately. Rich Williams took over the job from Groupon’s co founder Eric Leftkofsky who had worked as CEO since August,2013. Lefkofsky will hold a post of chairman of board of directors. Its current chairman Ted Leonsis will be appointed as lead independent director. Groupon’s third quarter worldwild sales units increased by 1%, reaching 52 units. The sales units in north America increased by 11% in the third quarter, while the ones in Europe, Middle East and Africa increased by 1%. The global sales units declined 23% in comparison with the same period of last year. Groupon’s global active volume of transaction in the third quarter was 570,000 times, while the one in North America was 290,000 times. Its global active consumers increased by 4% that quarter, reaching 48.6 million people. The average transaction for each person was $ 132 in the past 12 month, while it was $ 137 in the same period of last year. 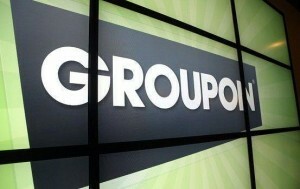 Groupon countered purchase 44,149,663 class A common shares in the third quarter, valuing $192.9 million. The integrated EBITDA will be valued between $40 million and $ 60 million, each share will profit between $-0.01 and $0.01. According to the local news on October 30, Scott Kelly broke the US Astronaut’s longest record of consecutive days in the space. The former record was made by Hispanic American astronaut Michael López-Alegría, staying 215 days in the space in 2007. Surprisingly, Scott Kelly stayed 216 days in the space already and this number will be added. He will be possibly continuous living in the space for 342 days as per his plan. In addition, Scott becomes the one who lives longest time as accumulated among the US astronauts. He lived 396 days as accumulated. His record will be 522 days living in the space when this commission is completed. Scott’s record is far away from the one made by Russian astronaut, Valeri Polyakov. Valeri Polyakov continuous lived 438 days in former Russian Mir Space Station. The continuous living record for Gennady Padalka who currently lives with Scott in the ISS, accumulating to 878 days. Besides Scott, there is also a Russian astronaut named Mikhail Kornienko joined NASA’S one-year space living plan. NASA will study the influence on human body for consecutive living in the space via observing these two astronauts’ living there. When living for a while under micro gravity environment, it will cause some side effects on human body, such as degradation of bone tissue and vision problems. NASA will avail of this opportunity to further study this issue. The astronauts may take a few months or even a year when they do future research on Mars. 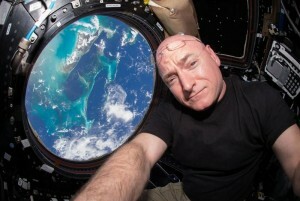 To make this one-year mission more perceptual intuition, Scott’s twin brother Mark Kelly monitors his living on the Earth. Amazon is willing to challenge difficulties among the crowded and intense competitive markets. It has been offering service for smartphones and loudspeaker box and runs it successfully. According to the report of BuzzFeed, the e- commerce giant Amazon might launch its own brand garments service. Jeff Yurcisin, the vice president of Amazon Fashion department he claimed that the company considers to launch its own brand garments service at the CEO summit for global apparel and retail. He said that they know consumers have preferred brands and they have many brands in their stores. Much of their business comes from garment industry. Some brands did not cooperate with them to sell their garments on Amazon due to different reasons. But Amazon consumers still love to search similar brands on Amazon platform. 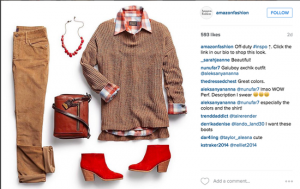 Amazon Fashion department specializes in attracting famous brands to sell their goods on Amazon e-commerce platform. For example, it sells Calvin Klein and Levi. However, some retailers and garment manufacturers are unwilling to cooperate with Amazon. The main reasons are that Amazon provides low-profit and discounts service. It seems that Amazon will launch similar garments for those brands did not join Amazon. It might bring much profit for its business performance. Jeff Yucisin tried to persuade those senior managers at the summit and show Amazon’s sincerity that it will comply with the standards in retail industry.